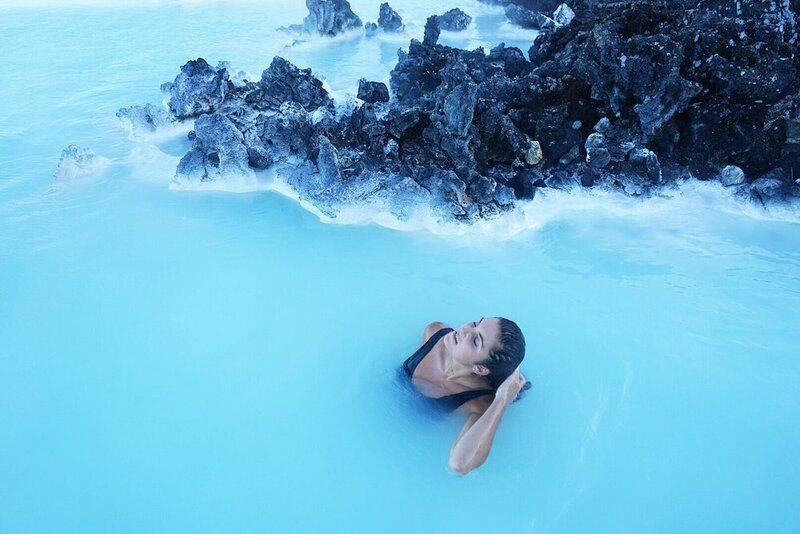 According to nearly every online travel site, Blue Lagoon is the must-do while in Iceland. Visiting the lagoon requires a little ahead-of-time planning, though, as you can’t simply show up and jump in. First you need to choose a date and time slot. Some times of day are more expensive than others, but since we were visiting during May, we chose the cheapest time slot at 8pm, since we knew the sun wouldn't be setting until around midnight-- cool right? The website also gives you a time block, but we were able to stay well past the hour that we booked, as did many others. There are also package options, but I would recommend opting for the cheapest, again, and simply bringing your own towel. 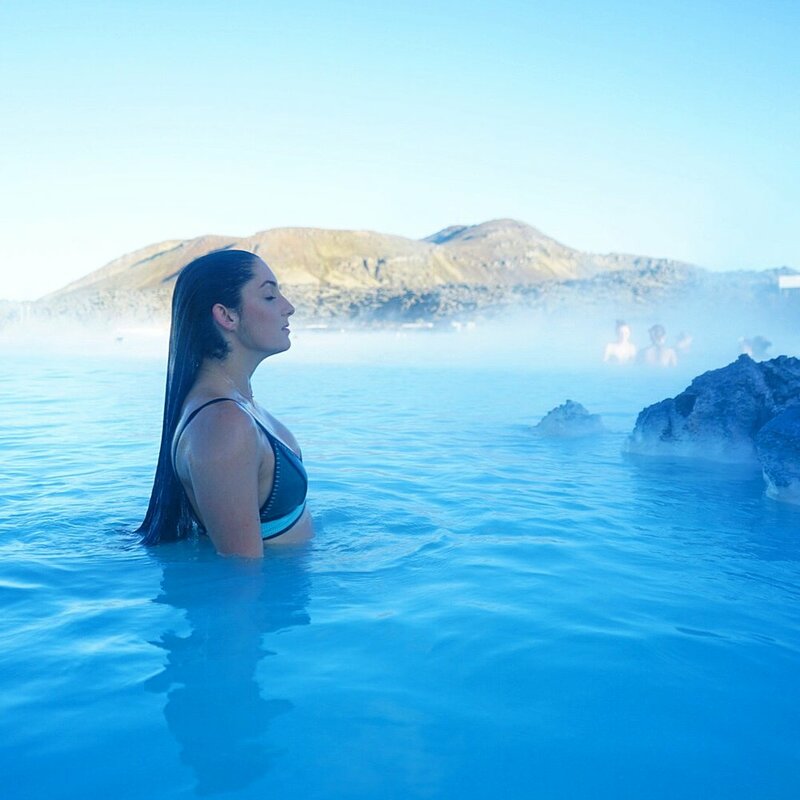 For about $40 you get access to lockers, showers, saunas, silica mud masks and of course, the lagoon. The water is a stunning milky-aqua blue color. It’s so beautiful to photograph and swim in. Different parts of the lagoon are hotter than others, with a temperature variance of 98-104 degrees Fahrenheit year round. Despite Blue Lagoon being a main tourist attraction, we had an amazing time and would definitely go back!